Call us at (334) 514-7327 today. For more information or to schedule an appointment with our Wetumpka chiropractor, call (334) 514-7327 today! Dr. Joey Luster is a chiropractor serving Wetumpka and the surrounding area. 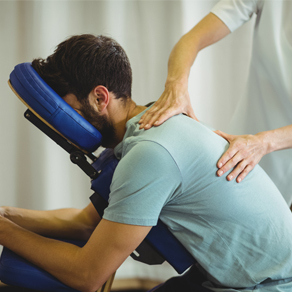 Dr. Luster and the rest of the welcoming team at Blue Ridge Chiropractic are committed to providing chiropractic solutions to address your unique needs, whether you are experiencing back pain, neck pain, headaches, or even muscular tightness and tension. You may be searching for pain relief after an accident, experiencing an injury, or if you suffer from a specific condition like chronic back pain or a spinal condition. Even if you are looking to improve your overall health, our chiropractor can help you attain your everyday wellness goals! Visit our testimonials page to find out what our patients are saying about our Wetumpka chiropractor and our chiropractic care plans. At your first visit to Blue Ridge Chiropractic, Dr. Joey Luster will explain how chiropractic care works and give you a full evaluation to see if our chiropractic solutions are a good fit to address your needs. If there is a good fit, we can customize a plan of chiropractic care for your condition and health goals. If you have not been to a chiropractor before and want to find out more, please email us or call (334) 514-7327 to receive the answers to your questions from our experienced team. We also welcome referrals, so we invite you to share our chiropractic and wellness information with your friends and loved ones. New Patients Receive a 1 Hour Massage with their first exam. Blue Ridge Chiropractic was opened in July 2008 by Dr. Joey Luster, D.C. Dr. Luster is a 2004 graduate of Life Chiropractic College in Marietta, GA. We are located in the heart of historic downtown Wetumpka at 106 Court Street and are in walking distance of the Bibbs-Graves Bridge, the Elmore County Court House, the Wetumpka Public Library and Goldstar Park. "I went to Dr. Luster for back, hip and leg pain. He worked to give me relief from the pain and when it didn't work, he sent me for an MRI. He is very knowledgeable and understanding. Great staff, clean office with no waits and hassles. Very peaceful office. I would recommend Dr. Luster to all of my family and friends for all Chiropractor needs." "I would highly recommend Dr. Luster! I went yesterday with neck and back pain and left feeling amazing! For the first time in a while, I got out of bed pain free this morning! The staff is very kind and the message therapist is amazing!" "AMAZING!!! Will recommend to any & all!!! Message therapist is just as amazing!!!" 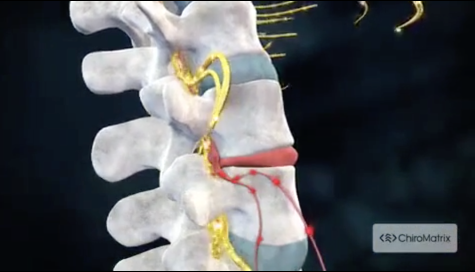 "If you are looking for some relief from back pain, neck spasms , headaches, go see Dr Luster today.. Dropped by today with my back and massive headache.. Left with complete relief and headache gone .. Thanks Dr Luster"